Felix Rosenqvist opened up his Super Formula points account with a determined recovery drive in round two of the season at Okayama International Circuit, coming within tenths of the podium on his second weekend of racing in Japan’s leading single-seater series. Championship rookie Rosenqvist got his weekend off to a strong start as he topped the timesheets in Saturday morning’s free practice session, and duly headed into qualifying for the opening race of the double-header meeting aiming for a similar result. However, the Swedish Team LeMans racer got delayed in traffic on each of his qualifying runs, leaving him down in 14th on the grid for Saturday’s Race 1. 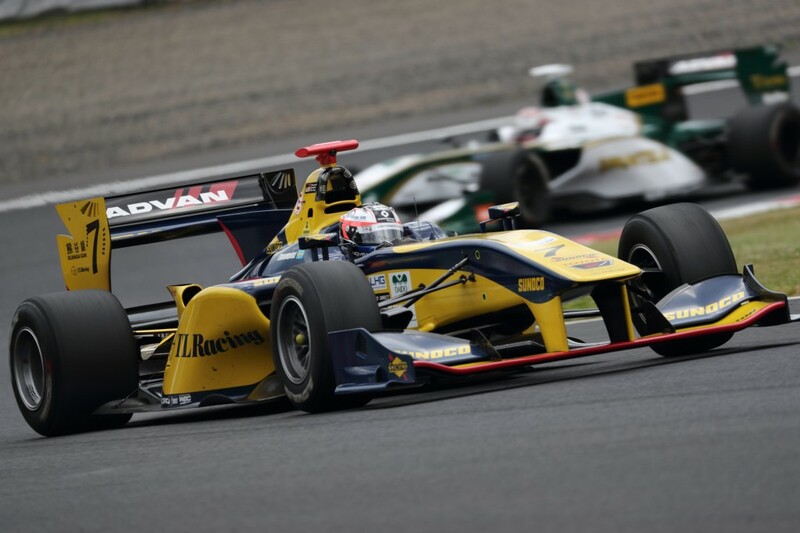 With no pit stops in the short 30-lap opener – and with overtaking being notoriously difficult at the Okayama track – Rosenqvist crossed the line in 12th place, but highlighted his true potential by setting the fastest lap of the race. Sunday marked new opportunities with a second qualifying session and race taking place, but frustration would strike again for Rosenqvist in almost identical fashion to the day before. Again held up in traffic on his qualifying attempts, the 2015 Formula 3 European champion was left a disappointed 15th on the grid. Rosenqvist’s Race 2 advancement began right after the start, but – in a 51-lap race which featured compulsory pit stops – it wasn’t until the cars ahead began pitting for new tyres that he could finally unleash his full pace. Deploying an alternative strategy, Rosenqvist was the last driver to conduct his pit stop, taking full advantage of a clear track to throw in a number of fast laps and make up ground on the leaders before finally stopping for fresh Yokohama rubber with 12 laps to go. The strategy allowed him to leapfrog several rivals and rejoin in fourth place. A safety car intervention then bunched up the field and set up a dramatic finish, with Rosenqvist launching an attack on third-placed André Lotterer (GER) after the restart but being unable to get past the three-time Le Mans winner. As it was, Rosenqvist maintained fourth across the line, eventually finishing just 0.6 seconds shy of the podium as he sealed the first points of his fledgling Super Formula career. “I’m very happy about the pace we had here this weekend,” Rosenqvist concludes. “We weren’t very competitive in the opening round at Suzuka, but we all learned a lot from it and have managed to raise our game here at Okayama. Felix Rosenqvist’s next race will be the Formula E Berlin ePrix on June 10-11. Prior to that, on June 4, the Swede will also partake in an official day of testing for the 24 Hours of Le Mans – a race he is set to contest for the first time of his career this season.